Our beautiful Kyle Lee Kinney, 58, of Waterford, lost her short and fierce battle with glioblastoma on Tuesday, Nov. 6, 2018. She was a wonderful wife, mother, daughter and friend. She was born July 8, 1960, to Linda Collie and the late Arnold Loop and raised in Phoenix, AZ. She returned to Waterford where she met her best friend and love, Scott Kinney. They were married 32 years. Kyle worked hard to make their life wonderful. She could put anything together and taught Scott and others the way life was meant to be lived. Her grace was particularly evident following the death of their precious son, Brandon Kinney, in 2016. Kyle was a valued employee at Elgin Electronics, Lavery’s Convenience Store, Dollar General, Hobby Lobby and Sugar and Spice. She loved dancing, bowling and especially family and her cats. She was a shopper extraordinaire, enjoying shoes, clothes and jewelry. You never saw Kyle when she wasn’t perfectly put together. Other favorites were the Pittsburg Penguins, Pirates and Arizona Cardinals. Besides her father and son, she was preceded in death by her father-in-law Dave Kinney, and grandparents Mary Mitchell and Alden Phelps. 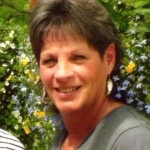 She is survived and deeply mourned by her husband and mother; stepmother Sandy Loop, sister Shari Wokulich, Scott & Missy Leuschen, Sue Finney, sisters-in-law Robbin Kinney, Karen (Rick) Lewis, and brother-in-law Ray Kinney. She is further survived by many nieces, nephews, cousins and close friends. 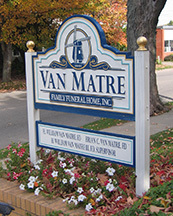 Family and friends may call at Van Matre Funeral Home in Waterford on Sunday afternoon from 2-6 p.m. where a brief service will follow at 6:00 p.m. In lieu of flowers, memorials may be made to Great Lakes Hospice, 1700 Peach Street, Suite 244, Erie, PA 16502. My deepest condolences and prayers to Kyle’s family.